20% Nitromethane and 18% Super Low Viscosity Synthetic Oil by KLOTZ. Optimix-20 SLV is designed for advanced competition 3D helicopter and aircraft flyers and is suitable for 4-stroke and 2-stroke engines where 0% nitromethane is preferred. 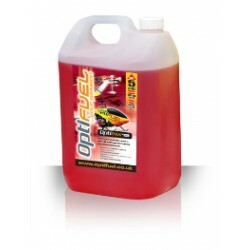 Very high power outputs for those who demand extreme power and super fast throttle response with better economy and cooler running. .
Optifuel is manufactured in a brand new flame proof plant designed specifically for the production of nitromethane based fuels and uses the latest weighing technology. Optifuel is the product of extensive flight testing with hundreds of hours logged using the latest data logger technologies. 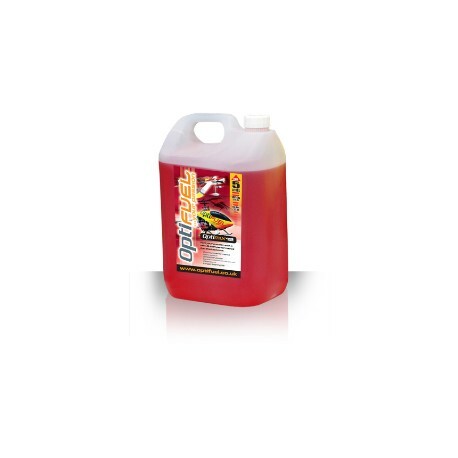 The finest grade raw materials are used with 100% synthetic Klotz oil only.